It’s nice to be back doing some wide body aircraft templates after focusing on the smaller stuff (like the 737-700 and A319) for so long. 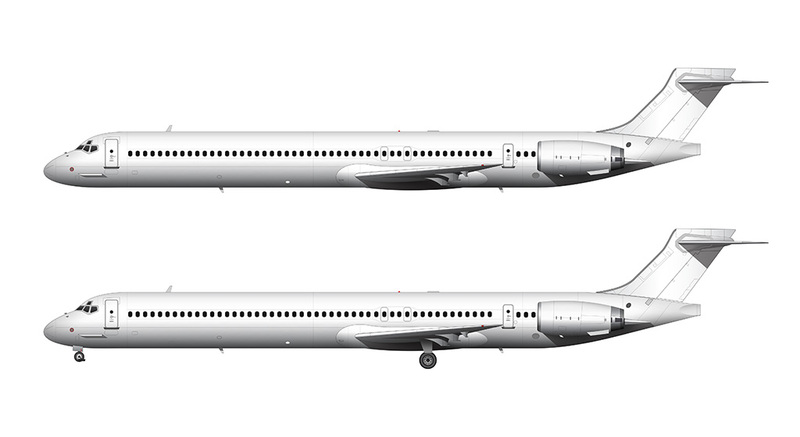 Of course I enjoy creating detailed templates of any type of aircraft, but I like doing the bigger stuff the most. 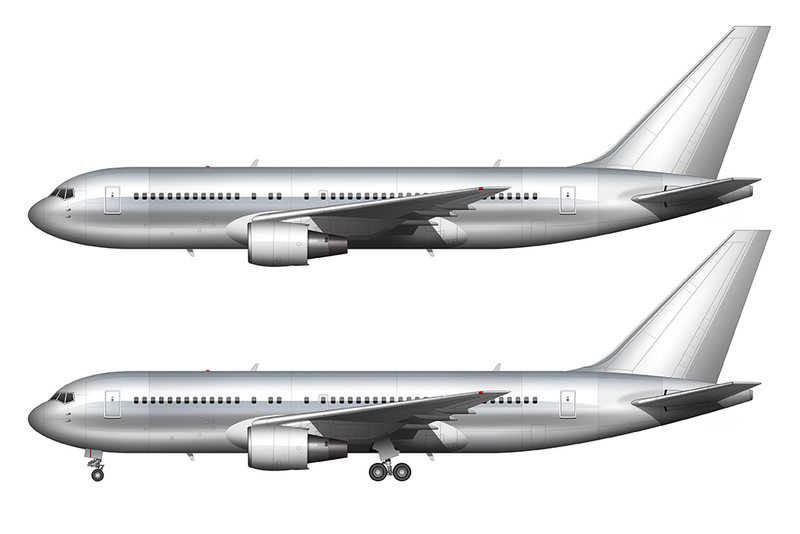 So here we go – this 767-200 is the first in what will be an entire collection of Boeing 767 templates, which is going to include the entire series (this -200, -300, -300F, and -400). As a matter of fact, all of those other variants are already in progress – I decided to create everything together this time, instead of doing one type first and then going back later to do all the other variations. While it’s nice to have the entire collection completed at the same time, it’s difficult for my short attention span – it’s a lot of work to create so many variations! Creating my airliner template series has been quite a learning experience for me. 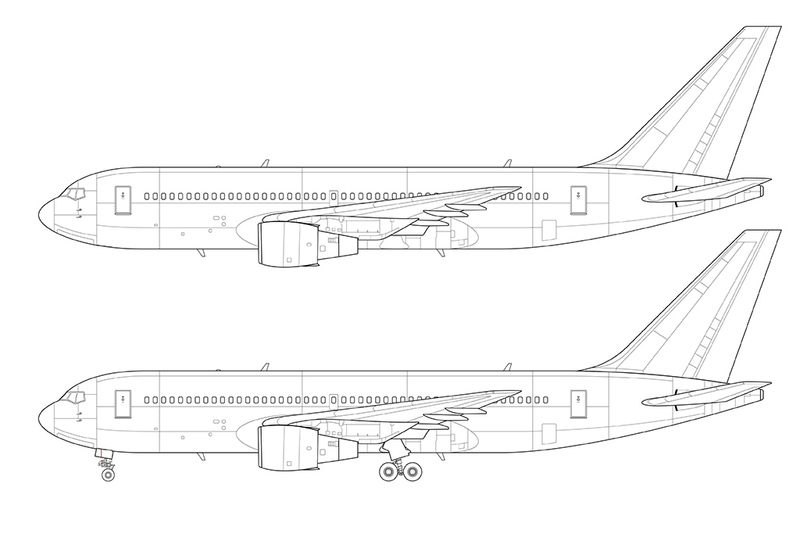 It’s been interesting to do the research on each aircraft and to identify the differences between the latest designs and older generations of airplanes like this 767. 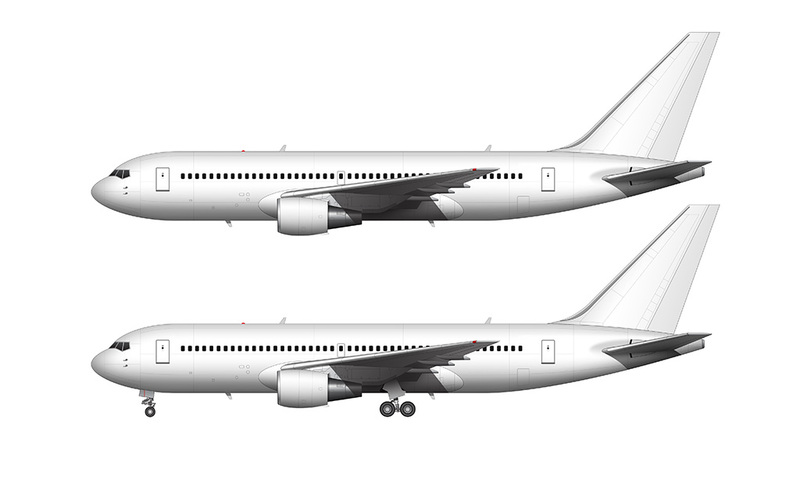 Form and shape is a big difference – compare my Airbus A350-900 template with this 767-200, and you’ll notice a pretty huge leap in aerodynamics and wing shape. These are things I probably never would have noticed if I hadn’t been creating side profile templates, so this is pretty interesting to me. It’s also neat to see the differences in panel sectioning – older aircraft seem to have many more sections and panels than the newer composite aircraft do. 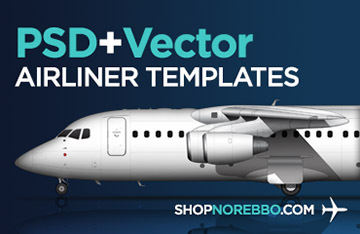 Neat stuff for a design and aviation nerd (like me), right? 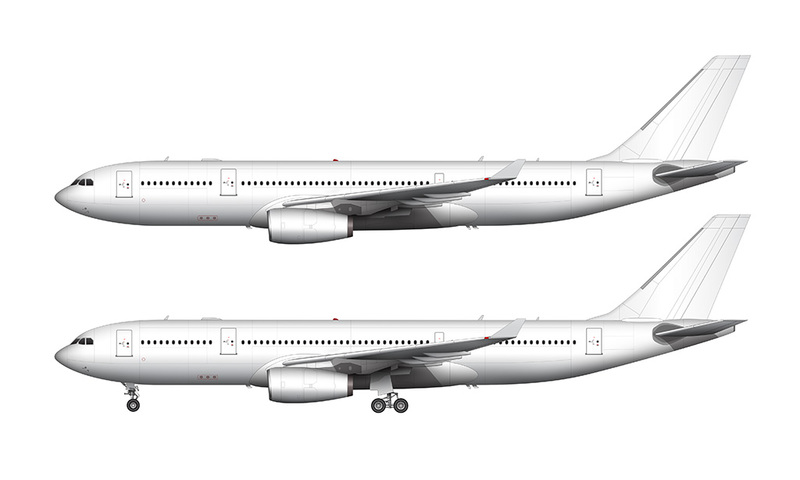 And because I have been working on the entire 767 family together, I never really noticed how short and stubby the -200 variant was compared to the more popular -300 series. You’ll be able to see what I mean when I post those templates (which will be soon). Bare matal version is super! Hope more bare metal versions!